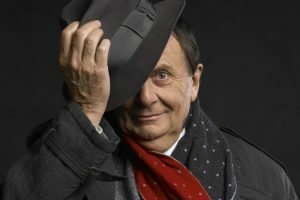 The director of the Melbourne International Comedy Festival has explained the decision to rename their prestigious Barry Award, saying controversial comments made by namesake Barry Humphries hadn't helped their relationship, but were not the sole reason for the shift. The Barry, the festival's top gong, will now be called the Melbourne International Comedy Festival Award and is given yearly to the comedian with the most outstanding show during the festival. It's not the only change the festival has seen recently: it's also cut ties with cartoonist Michael Leunig. The artist, who has a contract with this masthead, has in the past come under fire over his cartoons relating to vaccination. In 2015, one of his works suggested the Victorian government's decision to ban un-vaccinated children from kindergarten and childcare facilities was a "fascist epiphany". Earlier that same year, he drew a picture of a mother with a baby running away from a hail of needles. The Melbourne Comedy Festival this year replaced Leunig with fellow The Age cartoonist Judy Horacek. Humphries, 85, is best known for his alter ego Dame Edna Everage but has made more headlines in recent years for his inflammatory remarks. Gadsby has described Humphries's views as "irrelevant" and separated her Barry Award from the man it was named after when she won in 2017. "I don't agree with a lot of the things Barry Humphries has said recently," Gadsby said. "It is not something I will walk past. With full respect, I would like to accept this award just for me." Last year, she tweeted, "Barry Humphries loves those who hold power, hates vulnerable minorities and has completely lost the ability to read the room. "That's not a comedian, that's an irrelevant, inhumane d— biscuit of the highest order." A spokeswoman for Victorian arts and equality minister Martin Foley declined to say whether or not the government supported the renaming of the Barry Award. "This is a decision for the comedy festival," the spokeswoman said.